If you want to collect feedback without requiring the users to provide their email address, follow this guide. 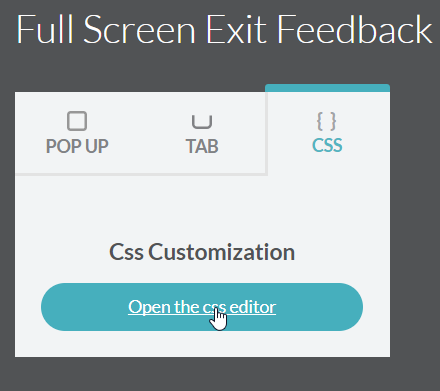 This hack requires jQuery to be installed on your website. Step 1: Create a campaign including an email block. Make sure it contains a feedback field or add one. Step 5: edit "#wisepop-XXXX" and replace by your campaign ID. 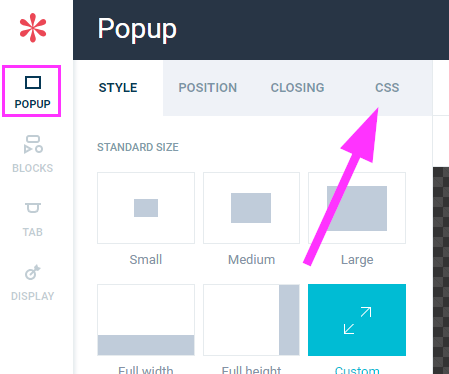 The popup ID is found in your campaign URL. In the example below, I would input #wisepop-131857. 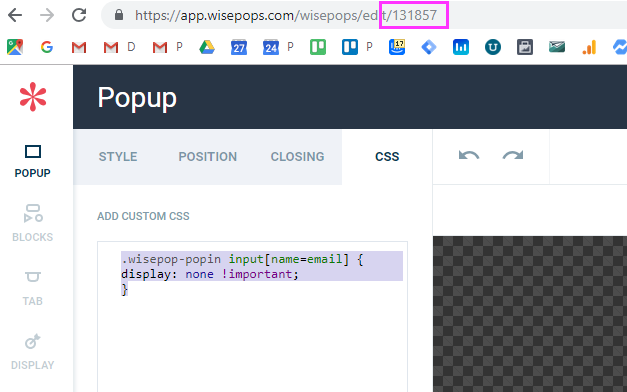 Step 4: Edit your WisePops tracking code and add the section in bold. 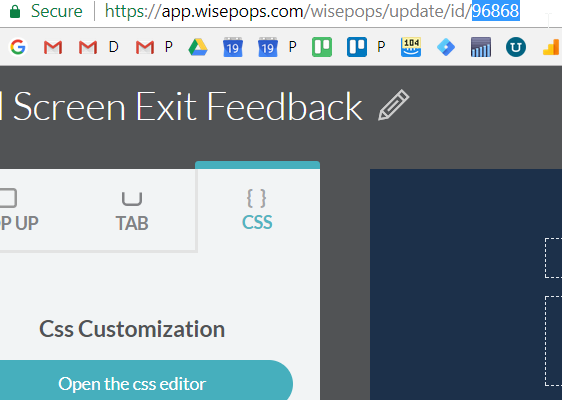 Step 5: edit "#wisepop-XXXX" and replace by your campaign ID. The popup ID is found in your campaign URL. In the example below, I would input #wisepop-96868.